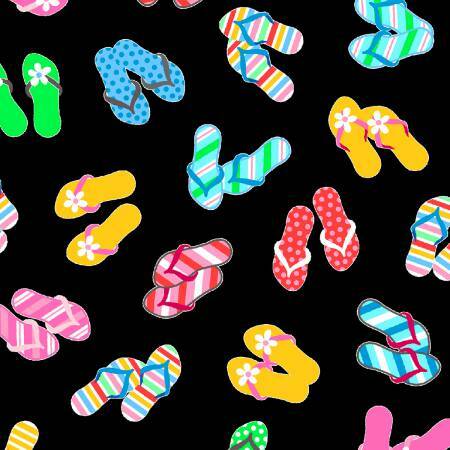 Black with bright multi-colored flip-flops. From the Just Beachy collection by First Blush Studio for Henry Glass & Co. Inc. 100% cotton. 44"-45" wide.